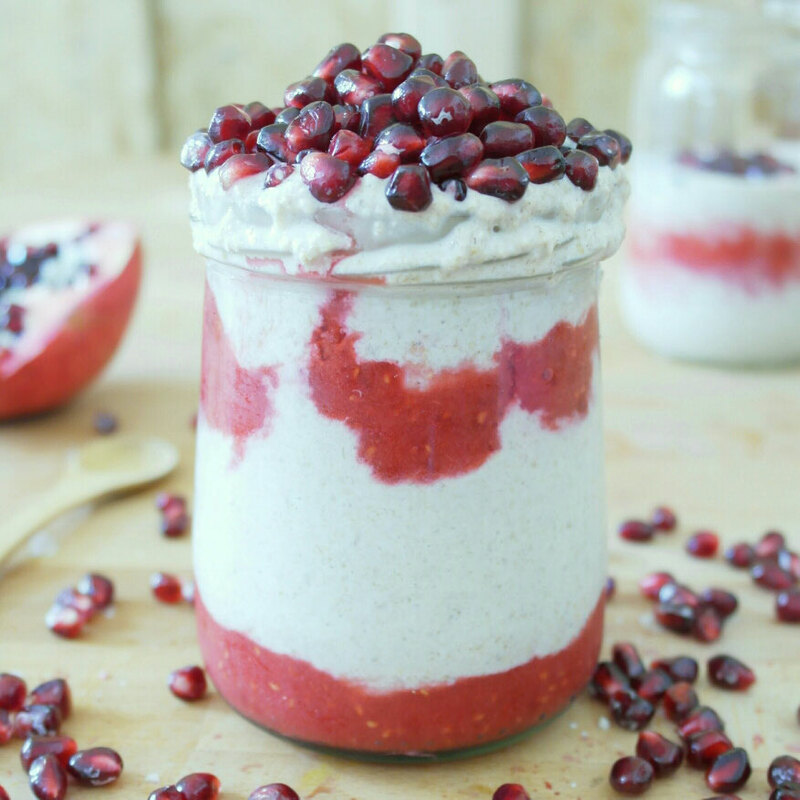 Raspberry-orange overnight oats - simply & healthy vegan recipes that taste amazing! Whisk together all ingredients except the the raspberries. In the morning you can blend it quick. Blend the raspberries and orange in a blender until smooth. Layer with the overnight oats in a glas. Enjoy your delicious breakfast with a glas of raw bilberry juice from NatureFoods!